This beautiful Elk Riverfront home offers the best of both worlds. Country living yet close to Charleston. With over an acre of yard bordering the river, you have room to enjoy life, fish, swim, canoe, or just sit on the large deck and enjoy the view. This 1685 sq ft, well maintained, recently remodeled, 3 bedroom home offers a lovely kitchen (appliances included), sunroom, living room, dining room with a fireplace. The attached garage and carport are just a few of the features that make this home so comfortable. The covered porch and patio make entertaining a breeze, and the large yard makes for hours of fun. 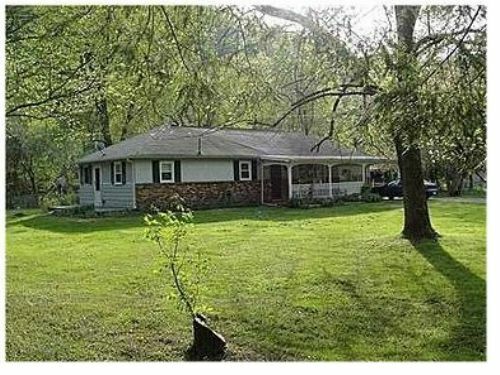 Located only 5.5 miles to Clendenin and 30 miles to Charleston and offers easy access add year-round. Priced to sell, this home won't last long. Call now for your appointment.